These are lyrics by Rod Stewart that we think are kind of funny. I know that kicking someone in the head is not supposed to be funny, but I decided to post this here because there was no other place it could have gone. Or steal my father's cue and make a living out of playing pool. 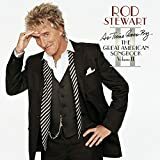 Rod Stewart's, "Tonight's The Night"
Rod Stewart's, "You're In My Heart"